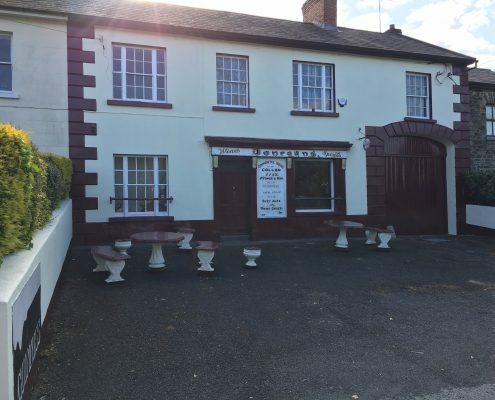 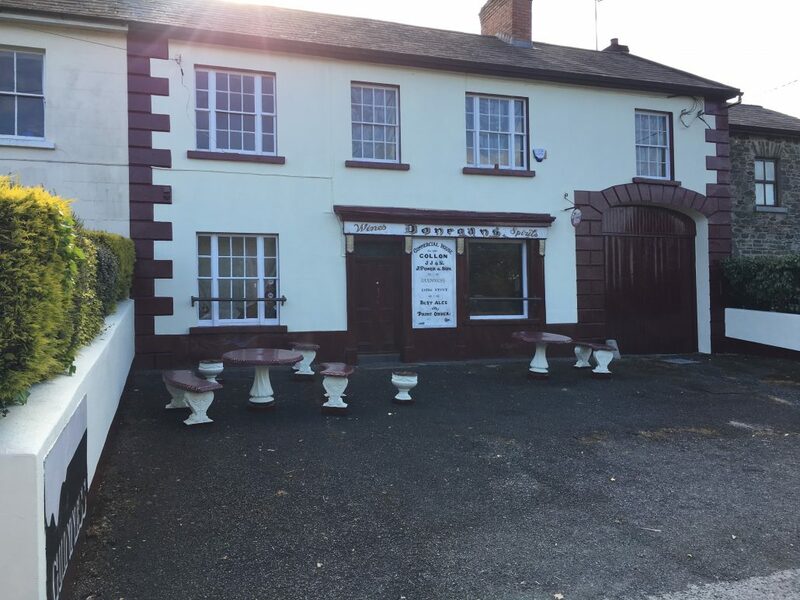 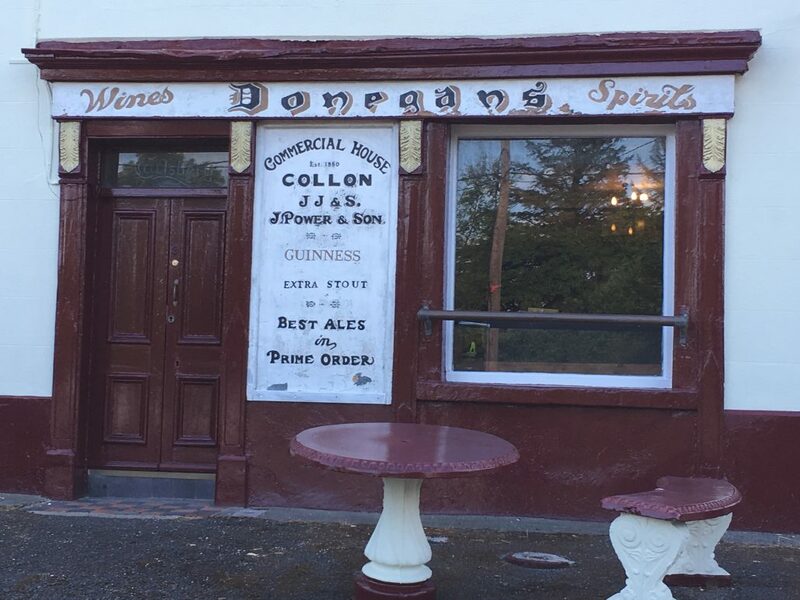 Welcome to Donegan’s of Collon situated in the Boyne Valley, Donegan’s Bar plays hosts to visitors from all around the world. 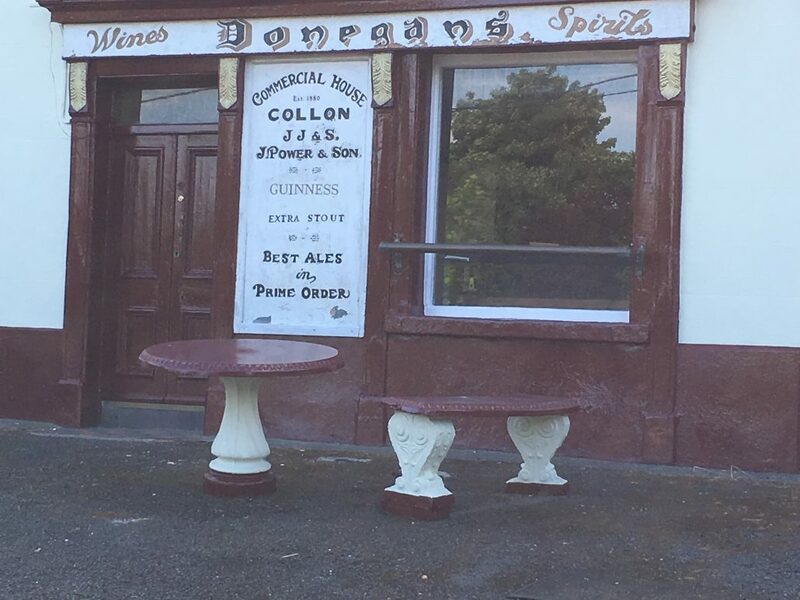 Whether absorbing the history, listening to music, visiting with friends and family or simply enjoying the perfect pint the appeal is equally strong for everyone. 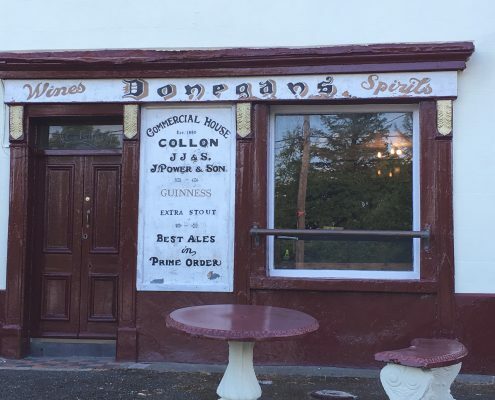 Find out more about why Donegan’s is not only one of Louth’s Oldest, but also one of Ireland’s best loved pubs. 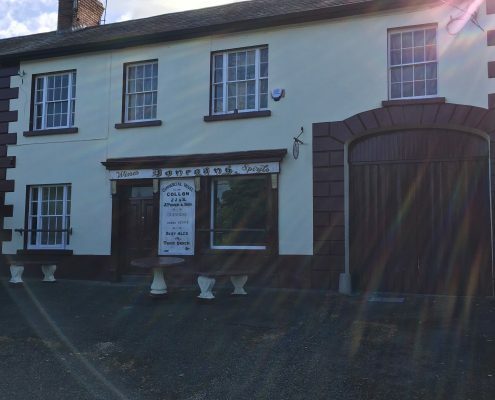 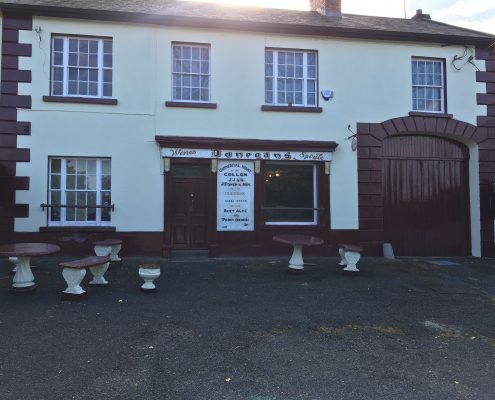 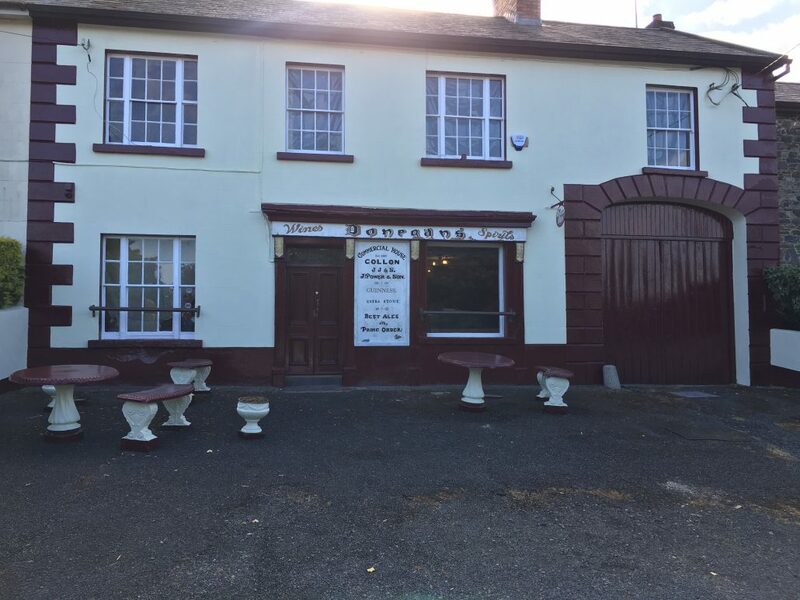 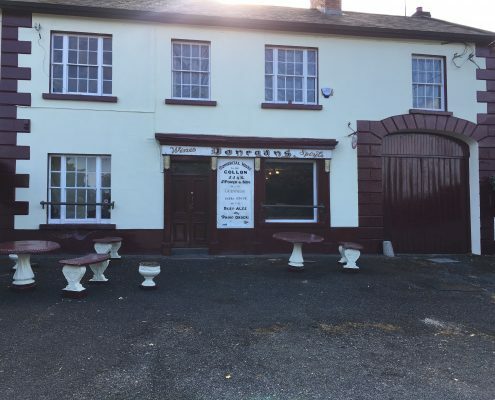 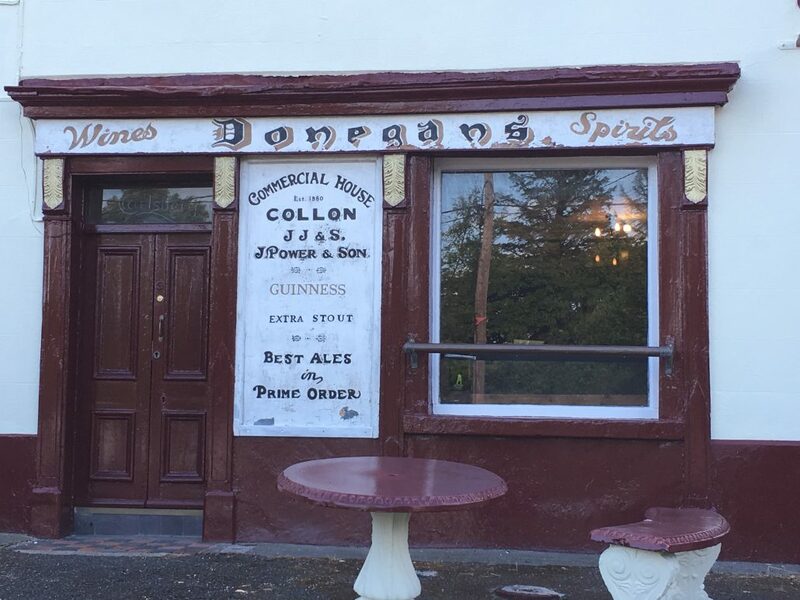 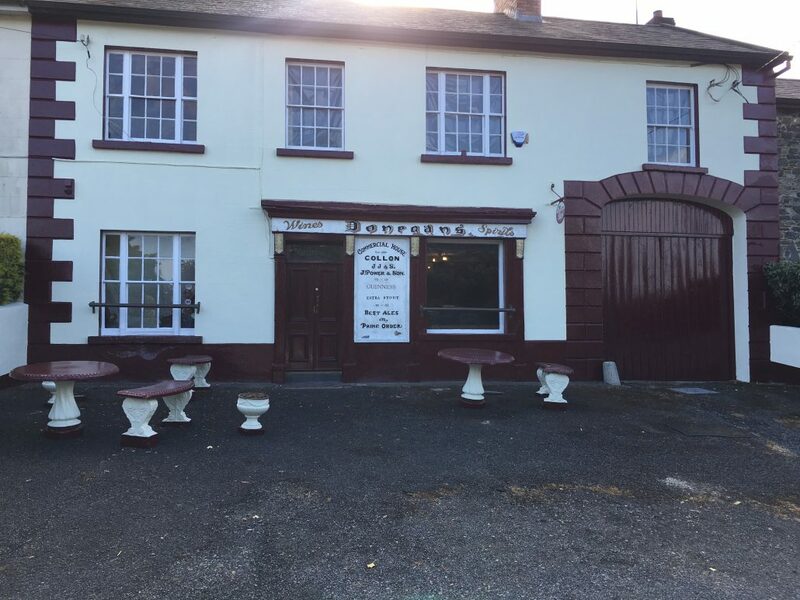 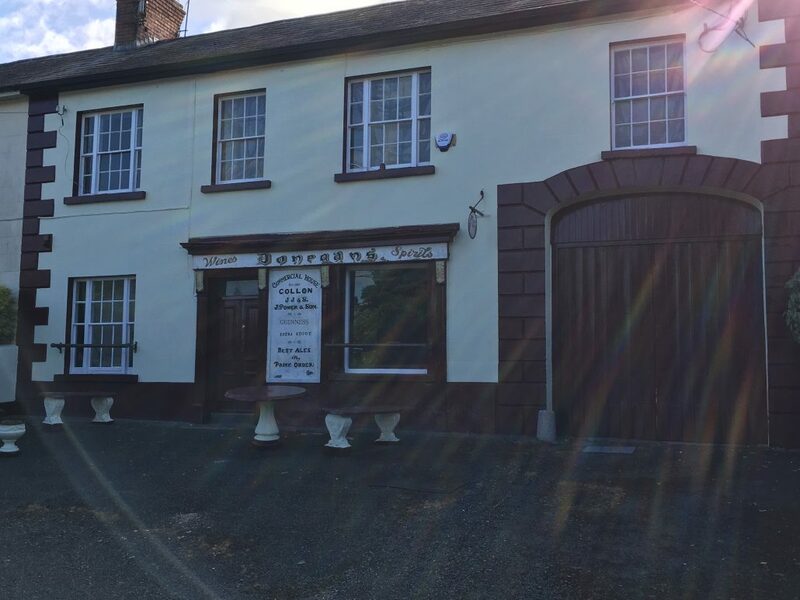 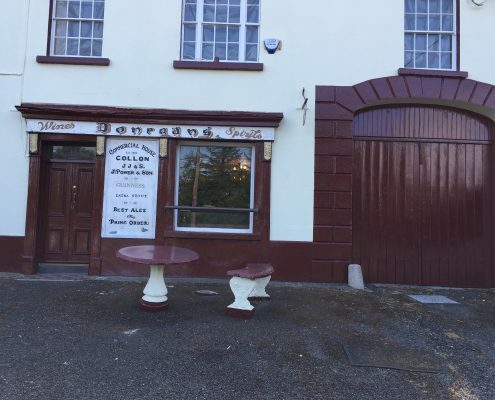 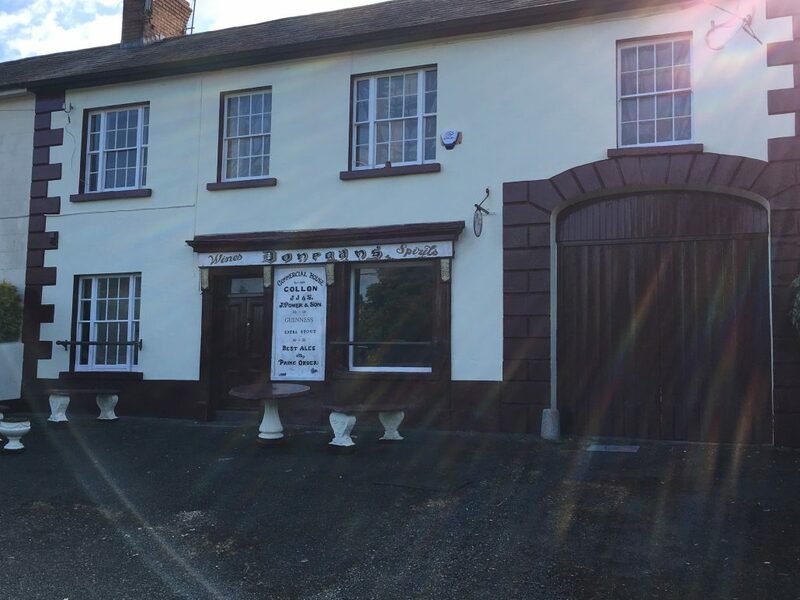 Donegans of Collon in County Louth has been trading since 1870 as a public house, hardware and grocery shop, once owned by the Gargan Family. 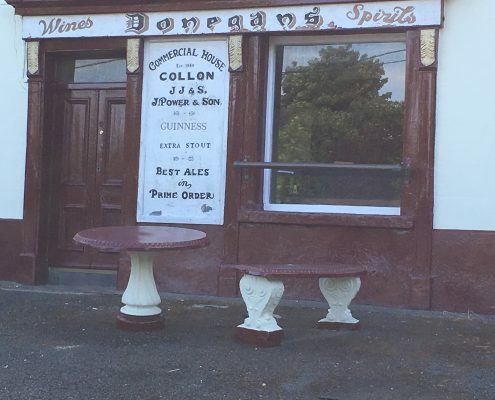 The fine late nineteenth century shopfront remains intact and with its skillfully carved console brackets and paneled pilasters. 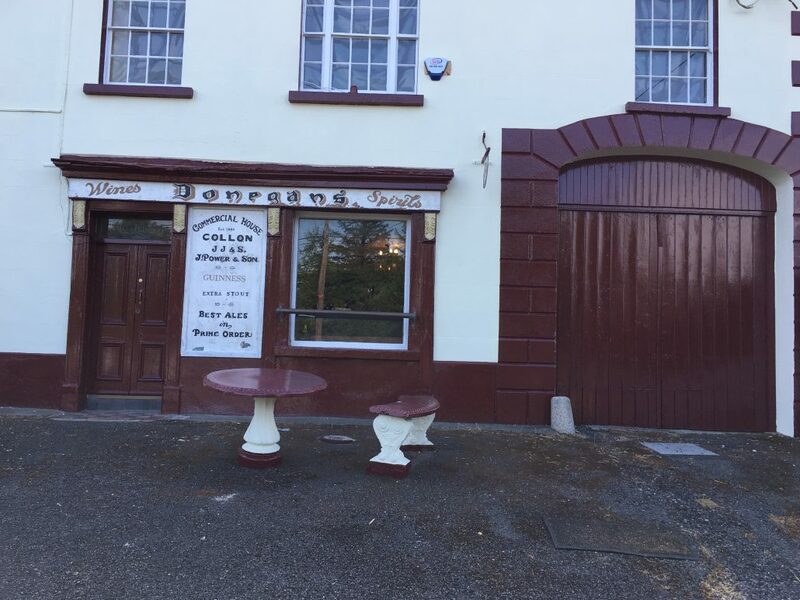 The house has a pleasing asymmetry with its central shopfront balanced by the carriage arch and tripartite windows. 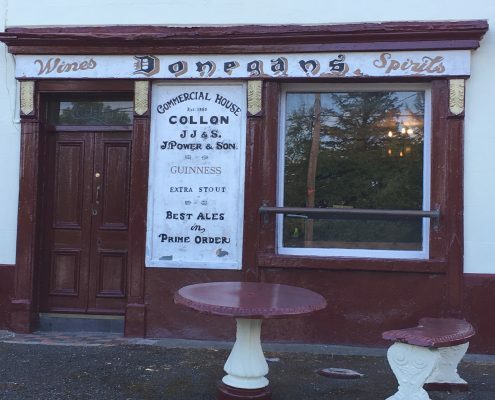 Donegans is a great example of the traditional irish public house , shop and dwelling and is listed in the Architectural journals of Ireland.